Gunel Aghabayli is one of our PhD students at the School of Engineering who is distinguishing herself with extra-curricular activities in a field closely related to her research. The start-up company that she is a part of, "CO2 Catalyser", has recently been granted ECCI’s Greenhouse pre-incubation support in Edinburgh. Within our School, she is working on the simulation of processes that convert carbon dioxide (CO2) to fuels and chemicals using renewable energies, under the supervision of Dr Dimitri Mignard. A Chemistry graduate from the M.V Lomonosov Moscow State University with an MSc in Chemical Engineering from the University of Birmingham (2016), she is also an experienced researcher who has worked at the Research Institute of Petrochemical Processes and at Baku Engineering University in her native Azerbaijan. Since joining us, she has also been very active organising events for the Engineering Graduate Society. But she also has remained part of a team of Azeri scientists who are blazing a trail in developing a new electrochemical process for converting carbon dioxide to fuels and chemicals. Her team, for which she has often pitched, had already won a number awards for their work. 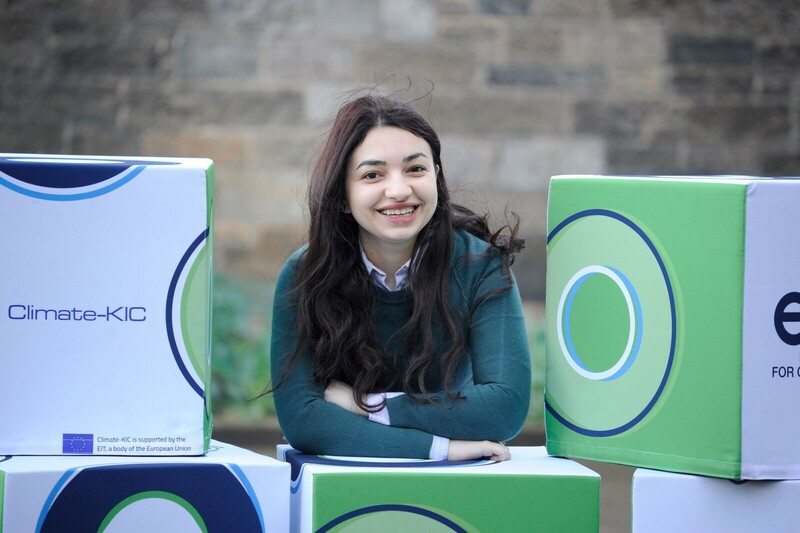 Recently, Gunel encouraged them to apply for support from the Edinburgh Centre for Carbon Innovation’s Greenhouse programme, which provides support for the pre-incubation of start-up, and feeding into the European Climate KIC accelerator program, to which Gunel was encouraged to apply because she was a high flying ClimateLaunchpad alumna. "After my postgraduate degree at the University of Birmingham I came back home to Azerbaijan to join Prof. Yusif Abdullayev's research group in the Chemical Engineering Department of Baku Engineering University. Building on from our work on catalysis of CO2 conversion, my supervisor and I took part in two Start-Up competitions in Baku, wher ei was in charge of presenting our 'pitch'. One of them was NEW IDEA (our team took 2nd place) and the second one was Climatelaunchpad 2017 (our team took 1st place in Azerbaijan finals). 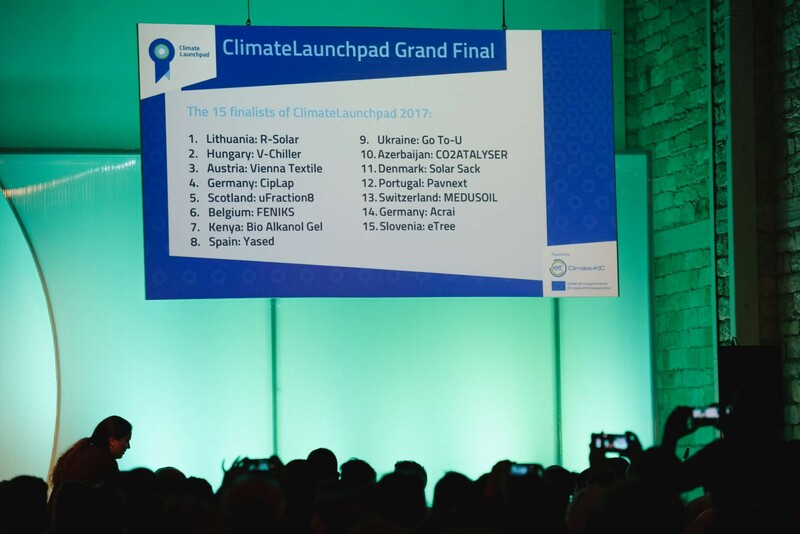 Later in October, I was pitching in Cypres for the Climatelaunchpad Global finals. Our team was one of the best 15 teams in the semi-finals against 105 teams in Global Competition. In total, 964 ideas were submitted to the competition. After this, I got an email to apply for the Climate KIC accelerator program because I was a Climatelaunchpad alumna. In the end, we were selected as one of the 6 winning teams on the GreenHouse programme." "The use of fossil fuel has resulted in an accumulation of CO2 in the atmosphere, which is one of the global problems that challenge the livelihoods of present and future generations. Researchers are working on finding a catalyst for the conversion of CO2 to value-added organic chemicals with high efficiency. Efficient conversion of the CO2 is a key challenge for the chemistry and engineering community." "CO2 Catalyser is a group working on the same problem through electrochemical conversion of CO2. As an alternative to precious metal catalysts, we proposed to use a naturally available mineral as electrochemical catalyst. It can be applicable industrially because of economical advantages: Low-cost, green technology. The main problem of our customers is finding cheaper and stable catalyst with high TON/TOF. After working on the problem for ten years, our group is confident that this unique catalyst demonstrates high efficiency and long-term stability in comparison to precious metal catalysts, such as nano-gold, platinum, ruthenium, etc. Furthermore, the price is lower than other currently available catalysts."